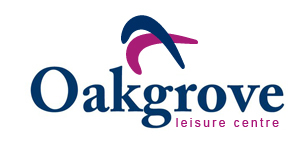 Oakgrove has a small team of personal trainers to suit all client types. We use long-term staff only that are experienced and knowledgeable. We focus on quality service with a smile. Training should be fun, and enhance your quality of life. 10 Sessions: €400. This includes a free consultation. 10 sessions is usually necessary to create real long-lasting change in weight-loss, strength, flexibility and any other specific goals you may have. We also offer a nutritional coaching service. Are you fed up with poor health? Feeling fatigued and low energy levels? You may need the focused attention and motivation of a Personal Trainer. Remember, its never too late to change your lifestyle. Call Oakgrove now and let Diarmuid Morley Personal Training help you achieve your goals! Oakgrove is starting a new personal training service for small groups of 3 people to train together; semi-private training.